From the million-copy bestseller Amanda Prowse, the queen of heartbreak fiction. 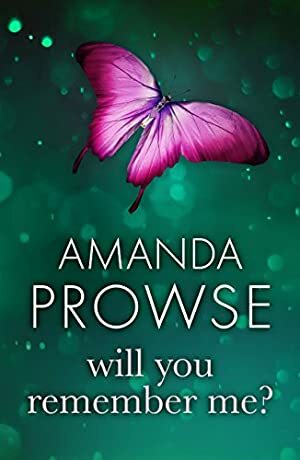 Amanda Prowse is the author of The Coordinates Of Loss and the no.1 bestsellers Perfect Daughter, My Husband's Wife and What Have I Done? How do you say goodbye to your family for the last time? Poppy Day is thirty-two and married to her childhood sweetheart. She's a full-time mum of two gorgeous children and loves her homely little cottage in the countryside. It's the life she aways wanted. 'Prowse handles her explosive subject with delicate skill... Deeply moving and inspiring' DAILY MAIL. 'Powerful and emotional family drama that packs a real punch' HEAT. 'A gut wrenching and absolutely brilliant read' IRISH SUN. 'Captivating, heartbreaking, superbly written' CLOSER. 'Very uplifting and positive, but you may still need a box (or two) of tissues' HELLO. 'An emotional, unputdownable read' RED. 'Prowse writes gritty, contemporary stories but always with an uplifting message of hope' SUNDAY INDEPENDENT. We started tracking this book on May 21, 2014. This book was £5.49 when we started tracking it. The price of this book has changed 113 times in the past 1,793 days. The current price of this book is £2.48 last checked 7 hours ago. The lowest price to date was £0.59 last reached on December 1, 2014. This book has been £0.59 2 times since we started tracking it. The highest price to date was £6.86 last reached on September 1, 2014. This book has been £6.86 2 times since we started tracking it. We last verified the price of this book about 7 hours ago. At that time, the price was £2.48. This price is subject to change. The price displayed on the Amazon.co.uk website at the time of purchase is the price you will pay for this book. Please confirm the price before making any purchases.